Linda grew up in Germany, where she completed her formal education and started a career as foreign language correspondent, translator and administrative assistant in various small businesses and pharmaceutical corporations. In 1991, Linda started taking interest in vibrational healing modalities and received training from Ludwig Stuempfl, founder and owner of a renown health spa in Schoenberg/Bavarian Forest. She studied Holistic Healing at the Paracelsus School of Natural Healing in Regensburg to become a certified Naturopath. In addition, she has taken different workshops and classes, like Energetic and vital forces in living systems (Bioplasma Research Ltd., Prof. Dr. Josef Oberbach), Esoteric Therapies with Bachflowers, Aroma oils and Crystals (Dietmar Kraemer), APM-Massage / Meridian Therapy (Institute for Acupuncture Massage, Willy Penzel), and many more. 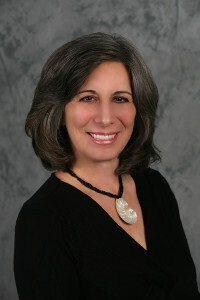 After moving to the USA in 1996, Linda attended a 20-month program at the Connecticut Center for Massage Therapy (CCMT) in Westport and graduated in 1998. She is nationally certified in Therapeutic Massage and Bodywork, licensed in CT, NY and FL, and member of the AMTA (American Massage Therapy Assoc.) and IAHP (International Association of Healthcare Practitioners). In Milford, CT Linda worked as a licensed massage therapist at Body Intelligence, in addition to assisting Massage Therapy classes at CCMT. In 1999 she opened her own practice ALMOST HEAVEN, working full-time within her area of expertise. In 2001 Linda moved to Columbus, OH where she had an office at Health for Everyone, offering various therapeutic modalities. In 2004, Linda earned her B.Sc. in Natural Health with Highest Honors from the Clayton College of Natural Health. Her continuing education includes: CranioSacral Therapy I and II, Unwinding Meridians with CranioSacral Therapy I and II, Developing and Deepening CranioSacral Presence, CranioSacral Therapy and Working with Chronic Depletion (all at Upledger Institute). In 2005, Linda moved to Palm Coast, FL where she has established her business LINDA’s MASSAGE & WELLNESS LLC. Four years later she joined the Body Therapy Center (see BodyTherapyCenter.us), now offering CranioSacral Therapy and Signature Sessions by appointment. Love and forgiveness heal me.